When it comes to competitions, although there are many WCMX events throughout the year, there are only two official contests currently, and both are held in the United States. Rise Adaptive Sports hosts a “world championship” in Grand Prairie, Texas in April and Life Rolls on Foundation hosts a contest during a They Will Skate Again event in July. The sport is currently growing in Brazil, Australia and Western Europe, with the epicenter being in Germany. Katherine shares that she would love to see some international competitions added in the near future, and since the sport is so young, the rules for each contest are constantly evolving. “In general, riders are judged on creativity, use of the course, and difficulty of tricks with points taken off for falls.” And although WCMX is not currently a Paralympic sport, skateboarding and surfing are being considered for the 2020 Olympics. Katherine is hopeful that extreme adaptive sports such as hers will become a reality at the Paralympics. 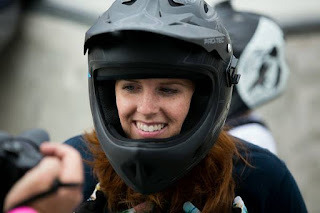 One thing that stood out in the interview, regarding the power of WCMX, is how adaptive athletes learn chair skills and other benefits even if one doesn’t plan on competing. “I’ve found that, unless a chair user sustains a traumatic injury and goes into rehab, that no one really teaches the user how to control his or her chair.” What better way to learn than in the safe and controlled environment of the skate park. 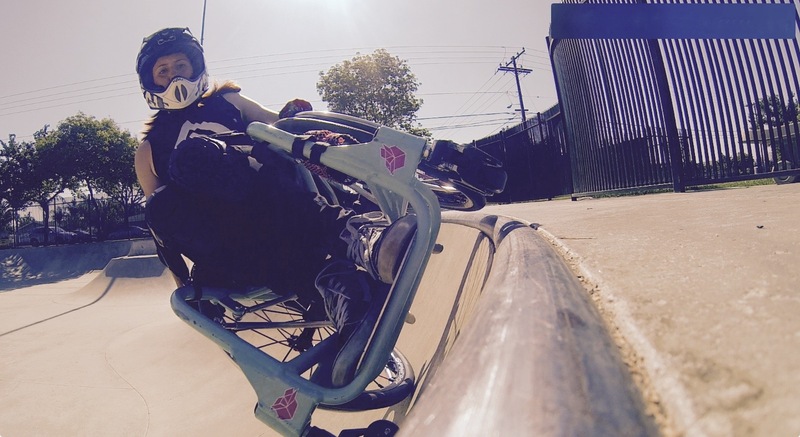 “A helmet and pads give you the freedom and confidence to toss yourself around a little bit and build vital skills that you can use in your everyday life.” Since she started riding WCMX, everything has become more accessible, and that includes steps, steep terrain, and uneven ground. “None of it is a problem when you have WCMX skills to fall back on.” Although Katherine isn’t saying that one needs to go out and perform backflips per say, she shares that chair users could learn to hold that wheelie, hop a curb or traverse a set of stairs. And find that dare devil athlete in all of us.